St Enoch’s Shopping Centre in the heart of Glasgow has just under gone a face-lift. 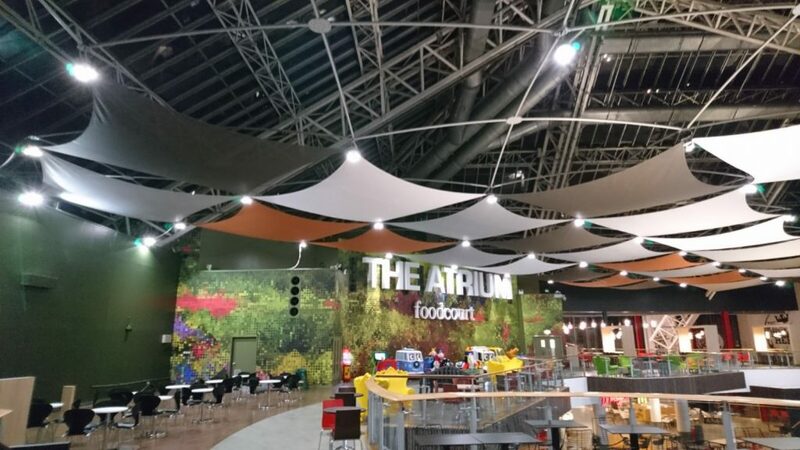 The atrium area and food court have been dressed with a colourful, suspended fabric acoustic ceiling, covering over 1000 square meters. These ceiling ‘sails’ replace some rather tired and ineffectual window treatments that proved inadequate, both visually and acoustically, and did little to reduce glare through the glass atrium roof. The new design incorporates an effective integral lighting system and gives the centre a completely new look and feel.